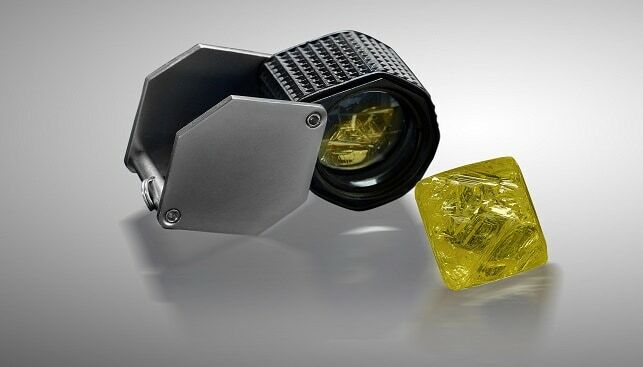 Mountain Province Diamonds has announced that in its upcoming, February rough diamond sale in Antwerp, it will include an “exceptional” 60.59-carat, fancy vivid yellow rough diamond recovered from the Gahcho Kué Mine in Canada in October 2018. Alongside the rare stone, Mountain Province will also include more than 50 other large, high quality white and fancy coloured rough diamonds. In 2018, the miner sold more than 400 individual diamonds larger than 10.8 carats. At the company’s most recent sale (November 2018), Mountain Province raked in $17.7 million from the sale of 245,751 carats, achieving an average price of $72 per carat. According to the miner, it saw good price bids for its better quality larger goods, as well as “a slight increase in the pricing for lower qualities and smaller sizes”.